When it comes to business, the more of it you have, the easier it is for the business owner to see where the business will be in five, ten, even fifteen years. Good business is what we want, but great business is what we dream of having. If you’re an entrepreneur with a startup company, or maybe you’re an old pro cultivating business every day, there’s one thing we can all agree on. Having more business and creating more success within our business would be a great end result at the end of this year. But what is the secret? It seems some people blast out of the entrepreneurial gate and people immediately gravitate to them, while others get lost in the crowd and struggle for six months before finally giving up their dream. While this is a sad depiction of what could be in store for your business, it doesn’t have to be like this. Enter Rohan Sheth, a self-made success who used to work the counter at McDonald’s but now runs the CEO desk at AgencyMentorship.com, a multi-million dollar company helping entrepreneurs realize their dreams. 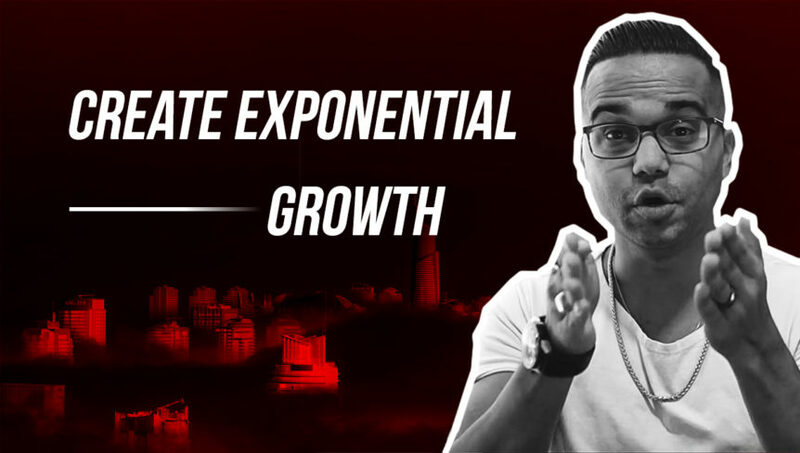 If anyone knows the secret of creating exponential growth within their company, it’s Mr. Sheth, and he explains these well-known, but little practiced strategies that can explode your business. Being consistent within your target audience begins to build a sense of trust and expertise within your community and it’s important to understand what your target market wants and needs and sticking to a plan which delivers on these needs daily/weekly. If your priority on social media marketing is your Instagram account, then make a plan and stick with it. 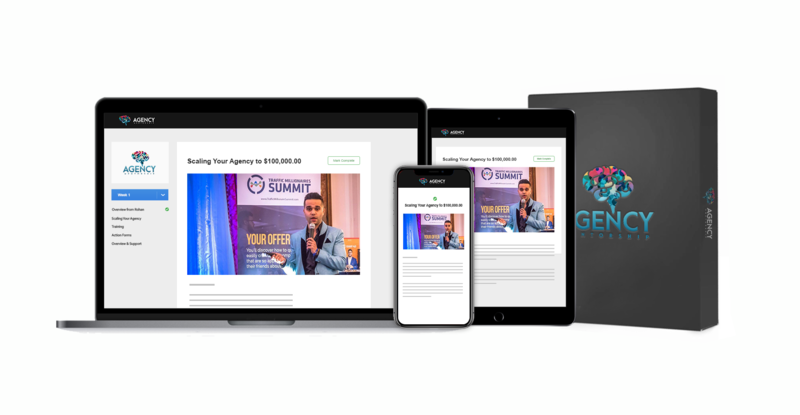 Post consistent and valuable content which will plant a seed within your congregation making you stand out from the rest of your competitors. Remember, if you’re constantly selling to them, they’re not going to listen. It takes perfect timing to understand when to sell and when to continually deliver content that will meet their needs. Eventually, your consistency will begin to be shared by your audience. When this happens, they will begin expecting something from you at certain times throughout the day or week. For instance, let’s say you have a YouTube channel where you always upload a helpful video every Friday. After you have consistently shown your viewers you can deliver on what you promise, they will pounce on your video’s every time you upload them. In the online world of business it can be very tempting and even easy to fall prey to data and statistics. Sometimes you may even find yourself pouring over data sheets and getting excited when a line goes up or down. While statistics are a reliable way to grow your business, it’s not the way to build a personal relationship with that one person who needs your services. No one person is unimportant. Each individual within your reach has the power and the potential to reach hundreds, even thousands of their friends when you take the time to show them you really care. So how does this part happen? This is when you get down and dirty and jump in the mix in your social channels and your email list. Reply to comments, answer questions, reach out and offer your services and advice when you see someone in need. These are all barrier breakers in the relationship building process and can mean the difference of someone walking away and becoming a high value brand ambassador for your business later. I realize once your business grows on social media, you will begin to have more people than you’ll know what to do with. Nonetheless, it’s still important to reach out as much as possible and show the face behind the brand. When your audience does start to get large, think about creating opportunities with your channels or pages which can provide a sense of belonging to your target market. For instance, give the mass of followers you have retained a name. This will make them feel like they are part of the bigger picture and will draw them in and help the relationship building process grow between them and your brand. In order to encourage exponential growth within your company you need to be making use of the technology around you. Technology is enabling organizations to reach entirely new markets in massive and viral ways. As the world’s population approaches 7.5 billion, companies and organizations with exponential business models can help close the gap between our growing population and the resources they need. Many companies start with one core offering to customers to serve one need—like Uber and personal transportation—then expand their services to meet other needs, like UberEATS or UberHEALTH. Mr. Sheth says to learn about your audience through the data and statistics and develop a plan which can solve these bigger problems they are having. This is more like relationship building on steroids and works well when you have a larger audience. Because the audience is larger, when you do solve the problem, they feel the need to tell their friends about it and here comes the flood of new visitors to your business. Every entrepreneur wants to realize their dream of owning a successful business which can touch the hearts, minds, and wallets of every person in their target market. But you cannot do that until you have a plan which will keep you and your team on track. Mr. Sheth’s strategies can help you develop these techniques and when you apply and tweak them according to your personal goals you will start to see your business growing exponentially within your niche. Is it your goal to own a business or grow the business you’re currently in? If so, share with us in the comments how you are going about it so we can help everyone.